A consultation for the much-feared extension of the April IR35 reforms to the private sector was put in place earlier today, when Philip Hammond delivered Autumn Budget 2017. In a move that experts say could hit contracting more than the introduction of IR35 itself, the chancellor said he would consult on the “possible next step” of rolling out the reforms to cover all PSC engagements. “How to tackle non-compliance in the private sector, drawing on the experience of the public sector reforms [will be consulted on]”, the Treasury says at chapter 3.7 of the Autumn Budget. However, as the government has not yet decided upon extending April’s IR35 reforms to the private sector, the consultation period can be used to “oppose and derail this proposal,” says IR35 advisory The Law Place. “It’s clear that the government is not sufficiently confident of the impact of this April's reforms to IR35 in order to [immediately] extend the scope to include the private sector,” says the advisory’s Martyn Valentine. Yet one such body already sounds fully behind the move. 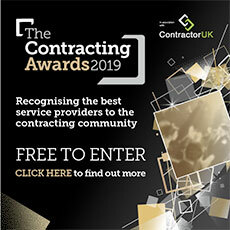 “[The chancellor’s commitment to a] ‘careful’ consultation on how to tackle non-compliance in the private sector…is fantastic news”, says the Freelancer and Contractor Services Association. It is also a positive for it potentially allows the April IR35 reforms to be fine-tuned, the FCSA suggested, assuming the consultation is “genuine and meaningful”. “HMRC's online tool ‘Check Employment Status for Tax…ignores a key element of IR35 case law; that of mutuality of obligation,” outlined FCSA’s chief executive Julia Kermode. Kate Cottrell, an expert on IR35, also thinks that the contractor sector will be feeling relieved. “Hats off to the chancellor and the Treasury who have both clearly been listening to stakeholders and IR35 Forum members, rather than to HMRC regarding the success of the off-payroll rules”. The Bauer & Cottrell co-founder added: “Rather than the claims of HMRC that this has been a resounding success we have a carefully worded paragraph [at AB chapter 3.7] using terms such as ‘early indications’ [to say] that public sector compliance is increasing. Editor's Note: The Autumn Budget is being discussed on the ContractorUK Forum -- Official ContractorUK Budget Thread 2017. Click for further news and analysis of the Budget's main announcements affecting contractors, and here for the big personal finance announcements.